The Battle of Bosworth 1485: A rebel army wins the day. On the 22nd August 1485 Henry Tudor brought a small rebel army to face the much larger Royal army of King Richard lll. Writers of the time mention a marsh between the two armies. The Stanleys, whose loyalty to either side was as yet unknown, were positioned between the two armies, but to one side; probably to the South. John de Vere, The Earl of Oxford was Henry’s military commander and he led the main army around the marsh and attacked King Richard’s right flank, commanded by the Duke of Norfolk. One writer describes heavy gunfire from the King’s artillery forcing this manoeuvre by Oxford’s men. Eventually, the Earl of Oxford defeated Norfolk’s army using a wedge formation attack and the Duke himself was killed, close to a windmill. Meanwhile, the Yorkist Earl of Northumberland, standing with a sizeable army supporting Richard’s left flank, did not move, possibly because of the marsh in front of him and the Stanleys on his flank. With the battle not going his way, Richard saw Henry Tudor with only a small force of soldiers on the field. He rallied his mounted knights and led a mounted charge across the battlefield trying to kill Henry. At this point Sir William Stanley attacked, on Henry’s side. Richard was surrounded by his enemies, and lost his horse in the marsh. However, he fought on, vowing to win or die as the King of England. King Richard was cut down “in the thickest press of his foes”. Even his enemies describe him as dying like a valiant prince. His crown was picked up and given to the Stanleys who unofficially crowned Henry Tudor as King Henry VII of England at Stoke Golding straight after the battle. Richard’s body was stripped of his armour and slung over a horse to be unceremoniously taken to Leicester for public display, to prove that he was dead, and later burial. Richard was the last Plantagenet King of England and Henry was the first of the powerful Tudor Dynasty, which changed the face of England for ever. Despite the national importance of this Battle, its exact location was never written down. This has led to much debate as to where the Battle took place. Based on the written theories available in 1973 Leicestershire County Council chose Ambion Hill Farm to be the location for the Country’s first Battlefield Interpretation Centre to commemorate and tell the story of the bloody events of 22nd August 1485, which took place in the now tranquil fields of South West Leicestershire. Since the first exhibitions were opened within the cow sheds of the farm in September 1974 there have been several phases of development, including extensions, new galleries and temporary exhibits. In 2005 a Heritage Lottery Fund (HLF) grant enabled the updating of the exhibition in the light of more recent thinking about the battlefield. This included a gallery dedicated to how the location of the Battlefield had been lost to history and how, with HLF Funding, work was underway to locate the scene of the action which had been hotly debated for 30 years. 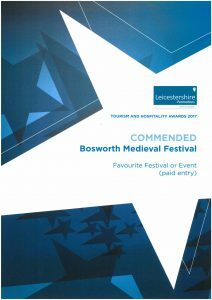 The Bosworth Battlefield Survey, led by Dr Glenn Foard of the Battlefields Trust, ran for five years, combining documentary, topographical and fieldwork research. The Project aimed to piece together the landscape of 1485, including Shakespeare’s famous marsh, and to locate any evidence of the Battle. 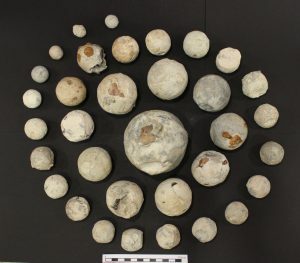 A metal detecting survey of a huge area of land finally recovered a unique collection of medieval cannon balls and a scatter of small items lost by combatants in the Battle. The most iconic of these is the Bosworth Boar, which was found in 2009. The Battlefield Survey proved that the Battle was fought about a mile south west of Ambion Hill either side of the Fenn Lane. 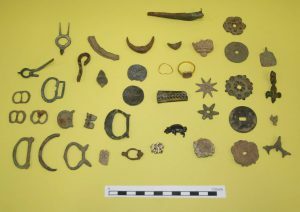 Some of the 15th century metalwork found during the Battlefield Survey. 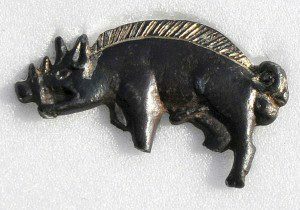 The tiny silver gilt boar badge, which may mark where King Richard made his last stand. It is only 29 mm long. These artefacts are on display in the Bosworth Quest gallery. The Battlefield covers a wide area of farmland, which is owned by many different landowners. Although there is a network of public right of way across the area, there is no parking on the Battlefield itself and the lanes are narrow and dangerous. 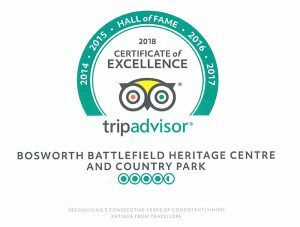 The Heritage Centre remains the gateway to the Battlefield and we encourage people to join our wider battlefield walks to see where the action happened. 1813 Monument erected at King Richards Well. 1974 Bosworth Battlefield Heritage Centre opens at Ambion Hill Farm. 1985 Exhibition is expanded to celebrate the 500th anniversary. 1985 Official visit by HRH Prince and Princess of Wales. 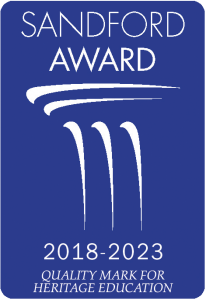 2005 HLF award granted for battlefield survey and new exhibition. 2009 Earl Shilton Coffin arrives on site. 2010 New BFI opens to reflect new battle site. 2010 Memorial Sundial and Battle of Bosworth Trail open. 2015 The Bosworth Quest and Two Kings One Day Gallery open. 22nd March 2015 King Richard’s remains return to Bosworth Battlefield prior to his reinterment. 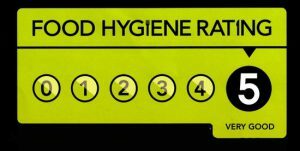 2nd August 2018 The Bosworth Discovery Zone is officially opened. February 2019 The Bosworth Medieval Festival in pictures Exhibition opened in the Temporary Exhibition Area.